Since the beginning of the evolution ,human is always thinking about house. Even since the primitive society, when the wild tribes began to build their first houses, the men had to deal with security issues, as wild barbarian hordes from time to time raided their construction, plundering and stealing women. Women, in turn, thought about how to transform houses, so that the man feel comfortable, even then there were the first curtains on the windows, and animal skins on the floor. Today it is difficult to imagine a wild time without the benefits of civilization. Our modern houses filled with all kinds of technology, everything is done to ensure that people are not distracted by domestic problems and bustle. Wanting to make our life’s more comfortable and safer, we set up a video surveillance system, alarm system, smoke detectors, underfloor heating, automatic blinds and lighting and so on, without thinking that all this is a Smart House elements. So why not put all what we use in the common intelligent system? Smart house was defined, when the Americans have already learned how to live in comfort, using all sorts of techniques. There was a question of automation. Initially the basis idea was that how simultaneously transmit different types of information over a single cable. By the end of the 20th century with mass modifications due to the rapid development of technology, it was decided to develop the idea of control systems and sensors through the electrical wiring of the house. Today the system also used on our continent, in particular by statistic of system orders Smart House Kiev and the region are leading and gaining momentum. By installing this system in your own house or apartment, you will never regret the money spent, because the Smart House – it’s not just comfort and safety, but also “intelligent” use of energy resources. Smart House controls and manages appliances, climate systems, water supply, lighting, security, electricity, ventilation, alarm, video surveillance, multi-room and much more, making it super comfortable accommodation and secure. Smart House – is an automated intelligent control system of engineering systems that work smoothly due to exchange data with each other. And if you get tired of that you forgot to turn off electrical appliances, faucets? Smart House will do everything for you, he knows your habits, so easy to guess your wishes and will do everything so that you are surrounded by comfort and convenience. Let’s consider one day spent in the Smart House. To make your morning awakening comfortable, Smart House as early hostess, wakes up beforehand, just for after a long night, when in order to economy the temperature was lowered ,to convert all systems to the appropriate mode. It turns on your favorite music, pushing silently the curtains , and as long as you take the morning procedures, prepares fragrant coffee. As soon as you leave the house it will automatically turn off appliances, lighting, closed on the lock doors, turn on alarm, video surveillance, perimeter security system, and air conditioning systems will be transferred to the power saving mode. And very important, that in your absence it is monitoring the safety of property through a lot of different sensors. If suddenly water or gas leaks , the sensor will work in charge of his space, the pipe will be immediately blocked, and you receive a call on the phone or come SMS – message. Thus, the smart system using the computer, touch panel and the mobile phone will allow you to being almost anywhere in the world, easily manage multiple appliances, climatic systems, receive video information in real time about what is happening in the house and around it. When you come back, Smart House like welcoming hostess and loving wife, will meet you in the yard with the bright illumination light, including soft lighting in the living room and relaxing music. Sitting down in a chair to rest, you can simply click button on the touch panel or ask your “hostess” and the light will be dimmed, blinds retracted and turn on the TV. When you fell in deep sleep, the system will turn off the lights all over the house, turn off unused electrical outlets, change mode of floor heating and climate control system to economy mode, close the door and put the protection of the perimeter of your home. 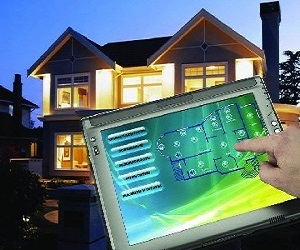 How much the Smart House system costs? Smart House System is an unique creation, it is the best that humanity has created, and if you do not yet have a Smart House, the company «SYSTEM OF ELECTRICIAL PROTECTION “, which is a partner of «MimiSmart», offers professional services in creating such useful system. From a wide range of intelligent system features you can use only those functions that you need. Therefore, as soon as our experts see the object and take into account all wishes of the client, we develop a house control system tailored to you, then it is possible to identify the cost of the system, since all individually for each client. 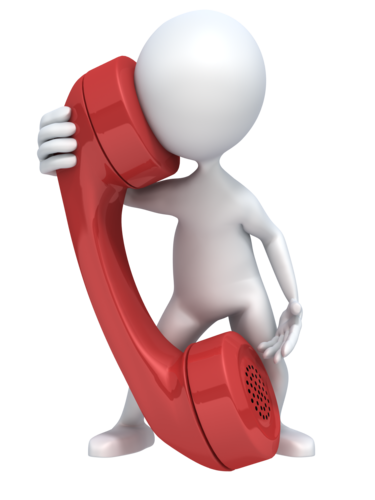 Call us and we will take care of your comfort!! !